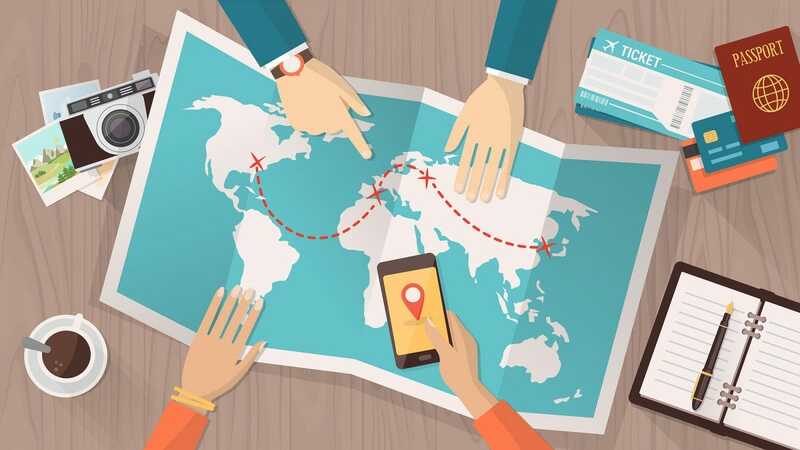 Whether you’re planning a business trip or a vacation to get away from the office and enjoy some relaxation, these apps have features that make trip planning easy—from tracking your flights to suggesting local sights. A popular name in the field, TripIt is very straight forward in its execution. All you have to do is forward your travel confirmation emails to the service, and the app instantly creates a travel schedule for you. No more having to piece things together yourself. It’ll tell you exactly when you need to be at your flight gate, when the car is ready to pick up from the rental place, and when you’re good to check in at your hotel. It even keeps on top of your restaurant reservations. Alongside that, it’s possible to sync TripIt with your calendar so meetings and events like weddings or parties are all included on the schedule too. You hardly have to pay attention to the schedule as the app does all the hard work for you. The premium service ($49 a year) provides you with real-time flight alerts, seat tracking, and an alternate flight finder. For most users though, the free app does everything you could need. It’s available for both iOS and Android. Sygic Travel Trip Planner is focused on the vacationer market, but it’s also great for business users. It offers information on over 20 million places from famous sights and museums, to parks, cafes, restaurants and beaches. In each case, photos, operating hours, and other pertinent pieces of information are included. For the more business orientated user, offline maps are available through the app’s premium service, as well as an advanced trip planner. The day-to-day itinerary planner gives users estimated travel times and walking distances, so it’s ideal if you’re trying to walk between meetings and other destinations on time. The app is free for Android and iOS; premium offline maps access costs $10. Roadtrippers is focused on the journey, not just the destination. If you’re driving across country for a while, odds are you want to stop and smell the roses every once in a while (or maybe smell the world’s biggest ball of yarn). 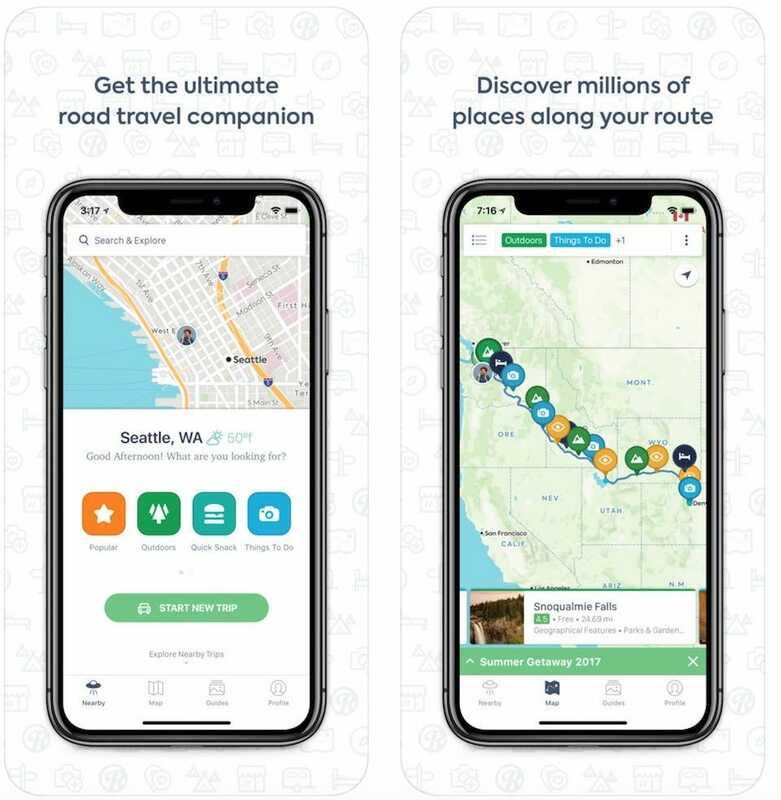 That’s the thinking behind the Roadtrippers app, which is all too eager to tell you what’s nearby. As you plot out your itinerary, more suggestions come up so you can find the perfect diner on your drive. For the avid driver, it’s a neat way to find out more about what’s just off the beaten track, and can make a boring business journey far more interesting than usual. It currently works in the USA, Australia, and New Zealand, for both Android and iOS. 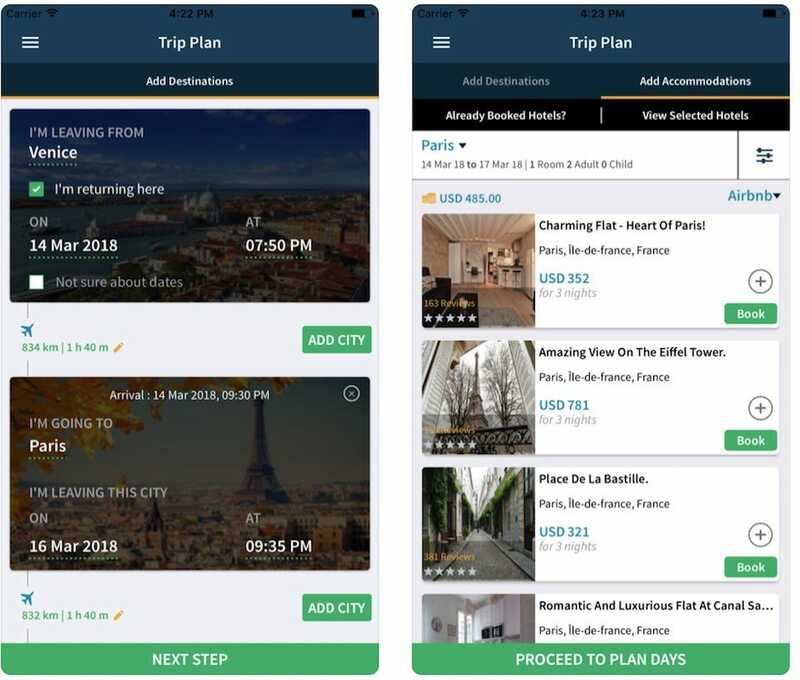 TripHobo is an itinerary building app. 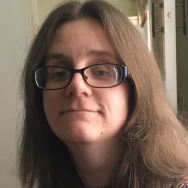 Slot in your interests, needs, and budget and TripHobo comes up with ideas of what to do, regardless of where you are in the world. It works just as well for vacationing as it does for business use. It suggests everything from the perfect hotel for your budget to where to dine, and how to get there via the local public transit system. It lists hours of operation for all suggested destinations, along with maps, and detailed routes. An offline view mode is available too for those times when your data connection is flaky. It’s possible to view other travelers’ plans as well, in case you need some inspiration in unfamiliar territory. It’s available for both Android and iOS. 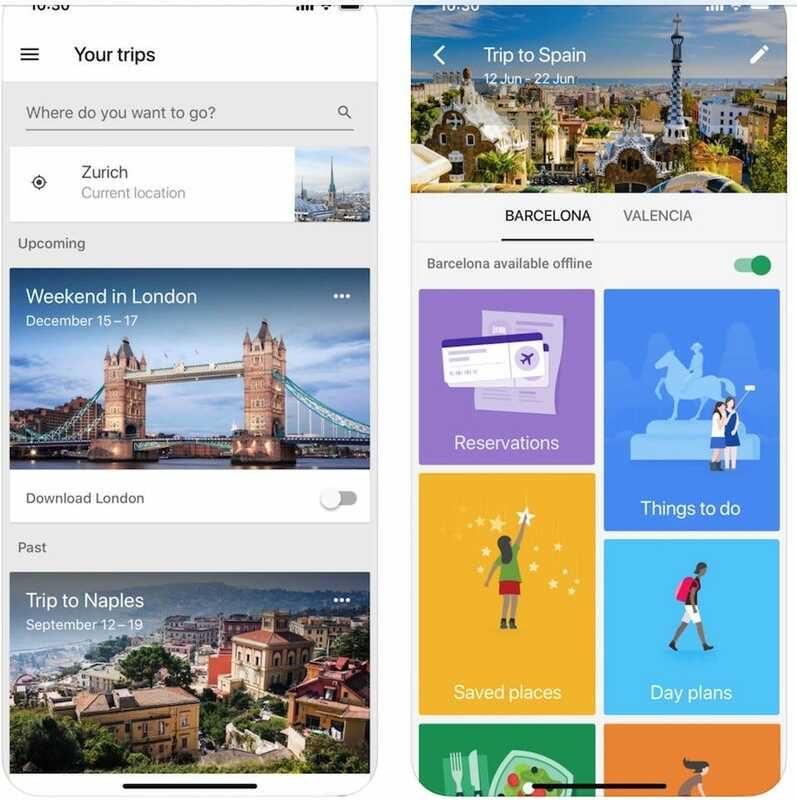 Predictably, Google has an app for trip planning, and it’s pretty useful. It automatically gathers your travel reservations from Gmail (no forwarding or manual entry required) and organizes them into individual trips, right down to day by day plans. at a tap of a button, Google is all too keen to make some suggestions based on what’s nearby, with options to filter according to your interests and available time. Like a lot of Google apps, it’s straight forward and intuitive. The ability to see all your reservations in one place is convenient, but it’s things like checking out reviews from other travelers that makes it more useful. 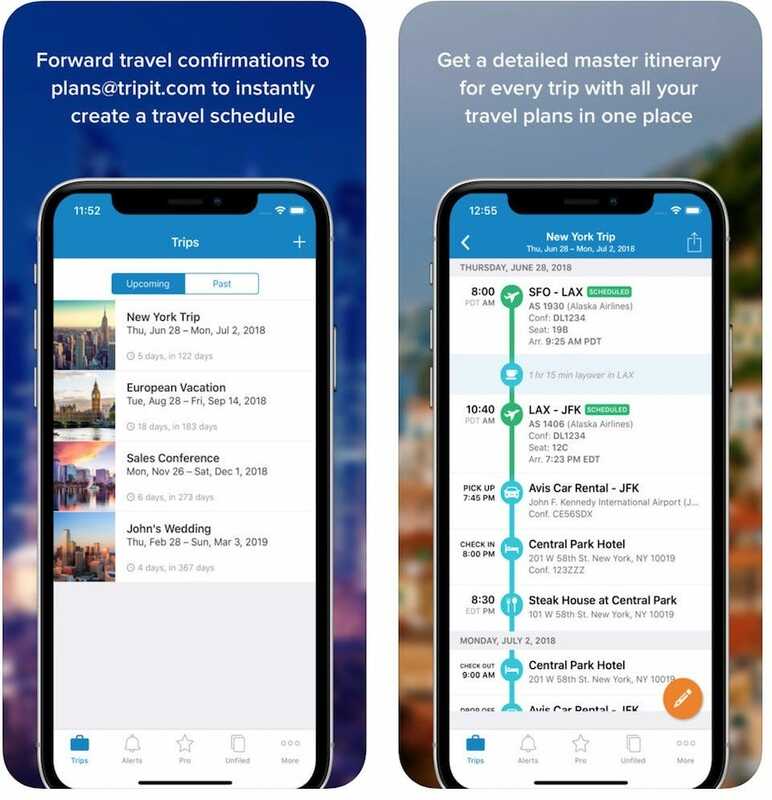 Editing your plans isn’t as smooth sailing as something like TripIt, but it’s a reliable option for Android and iOS regardless. 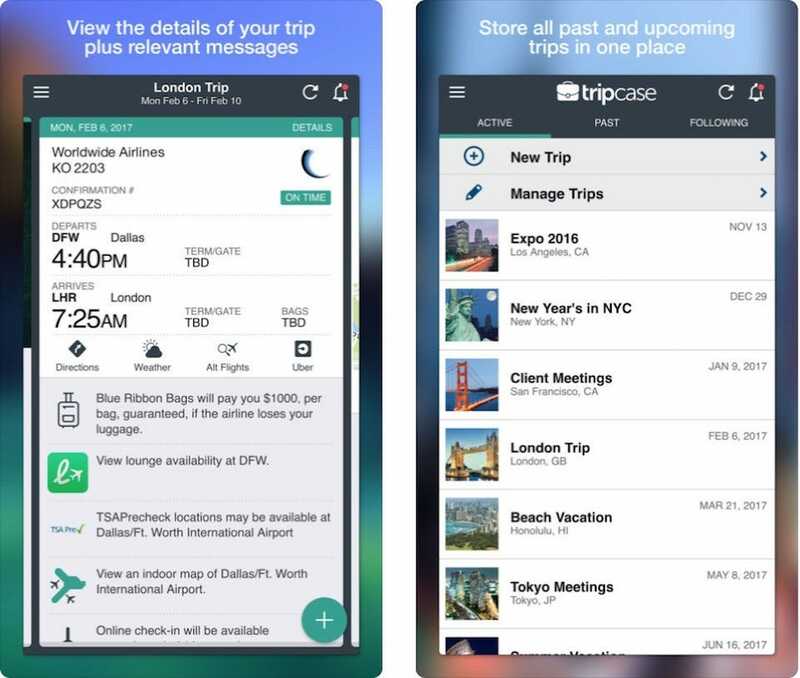 TripCase uses a more business style approach in its app, and it’s all the more useful for it. Like TripIt, you simply forward your confirmation emails to it and the app does the rest. Where things get better is in terms of its flexibility. It shows you where your seat is on the plane, offers directions to your next destination (or the option to request an Uber), and it searches for alternatives as and when needed. For Apple Watch owners, it also sends relevant notifications to your watch so you don’t have to worry about pulling your phone out of your pocket at inopportune moments. Notifications are a key part of keeping informed via TripCase, and it offers them in a convenient manner. Otherwise free, a $6 yearly subscription offers receipts support for expense tracking. It’s available for iOS and Android. If you spend a lot of time at your desk, it’s important to arrange your workspace to minimize strain on your body and maximize comfort. Proper keyboard placement is a big part of that, so we’ve rounded up the best keyboard trays for improving your posture and typing comfort.